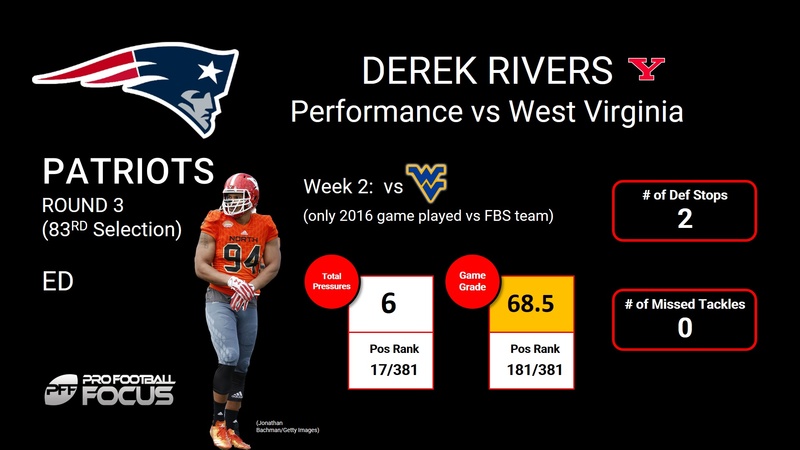 With the 19th pick of the third round (83rd overall), the New England Patriots selected edge defender Derek Rivers from Youngstown State Friday. Rivers was dominant rushing the passer in the 2016 FCS Championship game, recording 2 sacks, a hit, and 6 hurries. Rivers also held his own in the East-West Shrine game, finishing with a sack, hit, and hurry on just 14 pass rushes.